Virtualization is also useful in terms of trying out different operating systems without having to configure dual boot environments. For example, you can run Windows in a virtual machine without having to re-partition the disk, shut down Red Hat Enterprise Linux 5 and then boot from Windows. You simply start up a virtualized version of Windows as a guest operating system. 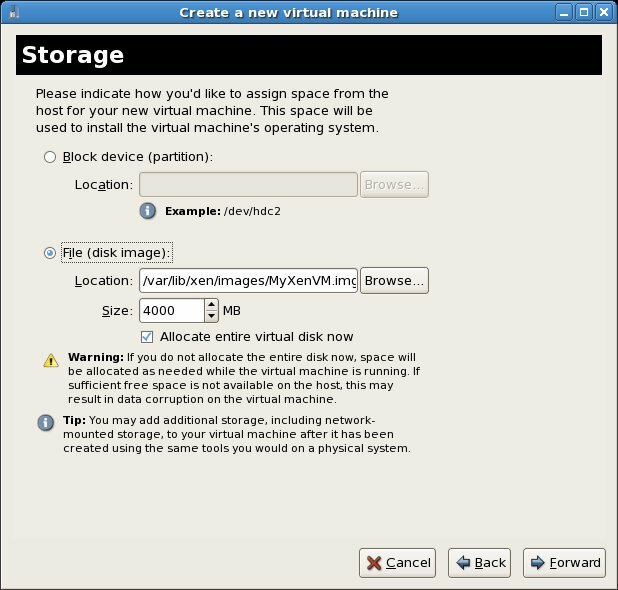 Similarly, virtualization allows you to run other Linux distributions from within an RHEL 5 system, providing concurrent access to both operating systems. 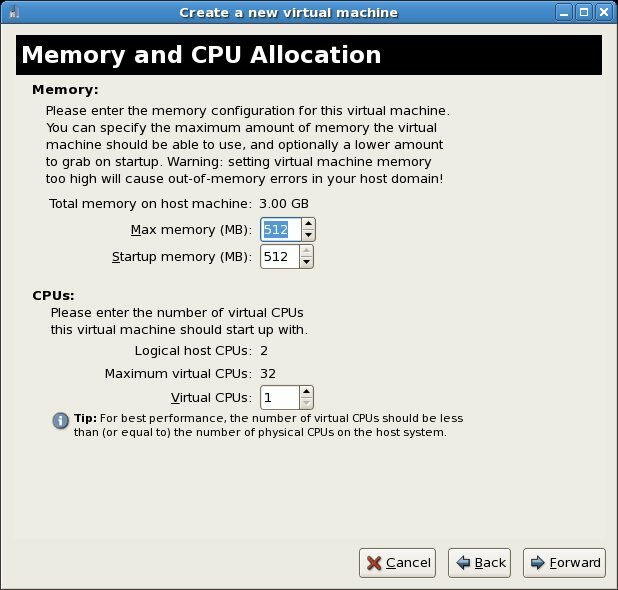 There are a number of ways to implement virtualization on RHEL. Options include, but are not limited to, VMware, Oracle VirtualBox and KVM. One of the most popular technologies on RHEL is called Xen. 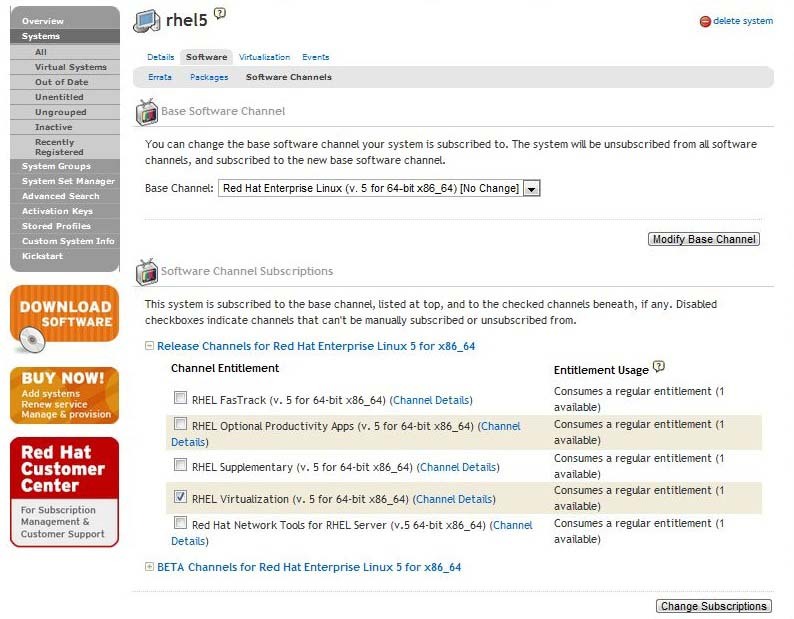 In fact, Red Hat’s engineers have invested considerable effort into making Xen easy to install, configure and manage on Red Hat Enterprise Linux 5. Before plunging into installing and running Xen it is worth taking a little time to talk about the two different types of virtualization supported by Xen and the corresponding hardware requirements. There are two common approaches to virtualization - full virtualization and para-virtualization. Full virtualization provides complete abstraction between the hardware and the guest operating system. 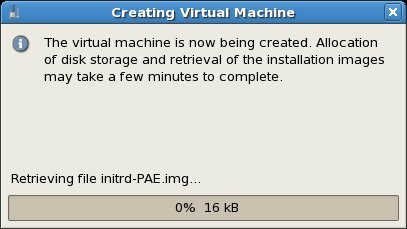 In this scenario, the guest operating system is provided a complete virtual physical environment in which to run and, as such, is unaware that it is running inside a virtual machine. One advantage of full virtualization is that the operating system does not need to be modified in order to run in a virtualized environment. This means that proprietary operating systems such as Windows can be run on Linux systems. Disadvantages of full virtualization are that performance is slightly reduced as compared to para-virtualization, and some virtualization platforms, such as Xen and KVM, require CPUs with special virtualization support built in (such as Intel-VT and AMD-V). Before deploying Xen based virtualization, it is important to first ensure that your current hardware configuration is suitable to support Xen. Each guest operating system installed will typically reside on the existing file systems of the host RHEL system. It is important, therefore, that there is enough disk space available to install your choice of guest operating system. As a guideline, a command line version of Linux typically requires approximately 600Mb of disk space. A full installation of a Linux distribution (including graphical desktop) requires around 4GB of disk space. Microsoft recommends at least 16GB of disk space for Windows 7 and 32GB for Windows Server 2008 R2. Of further concern is physical memory. Sufficient memory is required to run both the host operating system and the guest operating systems. 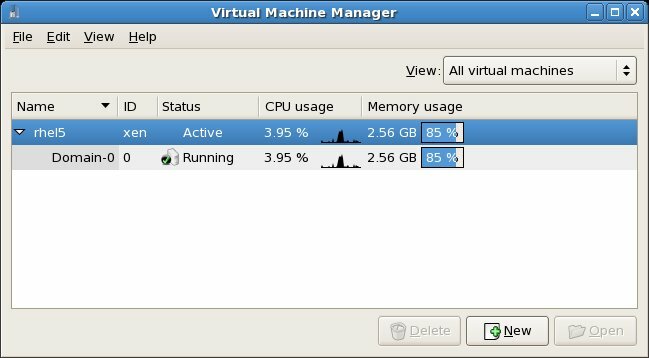 If the guest Linux operating system is not using a desktop environment, then it is possible to allocate 256Mb of memory to the guest OS. A full, graphical desktop Linux installation will require considerably more (a minimum of between 300Mb and 400Mb will provide reasonable, but not spectacular, performance). Windows 7 on the other hand requires at least 1GB of RAM to perform adequately. If your system does not include this support you can still use Xen in para-virtualization mode. You will not, however, be able to run Microsoft Windows as a guest operating system. Keep in mind that whilst support may be present in the processor it is often switched off by default in the system BIOS. If you believe that your processor model includes the appropriate support but it does not show up when one of the above commands is executed, reboot your system and enter the system BIOS settings to verify that it is enabled. This command will install all the required packages (approximately 23 packages in total), and configure the boot loader to provide a Xen virtualization option when the system is next booted. Once the virtualization packages have been installed close down any running applications and reboot the system. When the boot screen appears hit any key to enter to boot menu and select the RHEL Xen boot option. At this point the only domain that should be listed is domain-0 representing the host environment. When guest operating systems are running, these too will be listed. It is now time to build a Xen virtual machine to contain a guest operating system. Guest systems can easily be configured using either the virt-install command-line tool, or the virt-manager GUI tool. For the purposes of this chapter we will use the virt-manager tool. Creation of virtual machines from the command-line will be covered in subsequent chapters. To create a new guest system, select the top entry in the list (the host named rhel5 in the above example) and click on the New button to display the first configuration screen. Click the Forward button to proceed to the Naming screen and enter a name for the virtual machine. This can be any name you choose. In order to install a different Linux operating system simply reference the URL of the operating system installation tree, or create your own tree by mounting the ISO installation image on a network server and reference it on this screen. If you have a disk partition available for the guest operating system, enter the device path into the Block device (partition) text field. Otherwise, select File (disk image), enter the path of the file to be created (or accept the default provided) and select a file size (keeping in mind the space requirements for your chosen guest OS). Having defined these settings, click the Forward key once more to proceed. On the Connect to network host screen select Shared physical device and click Forward. This will configure the guest OS to share the host operating system's network connection, thereby appearing as though it is directly and independently connected to the same network as the host. Alternatively select the Virtual network option to connect to an internal virtual network. This will allow the virtual machine to connect to other virtual machines also connected to the virtual network and to operate on the external network using Network Address Translation (NAT) provided by the Xen environment. From this point on, simply follow the operating system installation instructions to install the guest OS. In this chapter we have briefly explained the concept of virtualization before looking in particular at Xen in terms of both full and para-virtualization and the system requirements of each method. 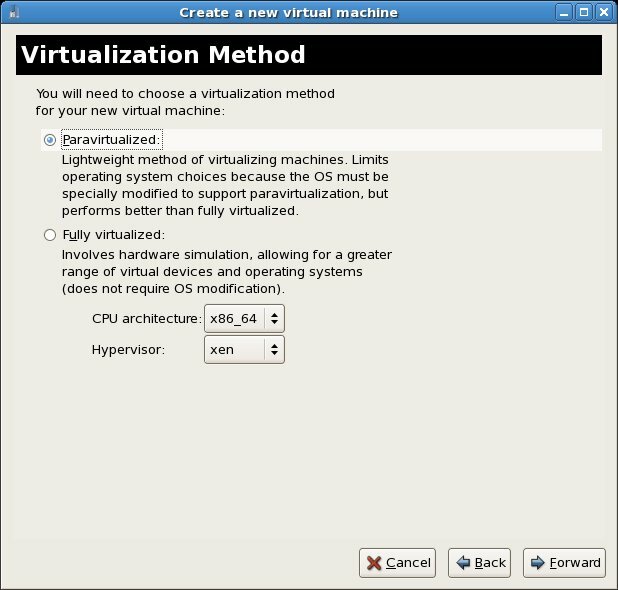 Having covered these basics, a step by step tutorial to installing a Linux distribution as a Xen based para-virtualized guest on RHEL 5 was provided. In the next chapter will look at Using Xen Full Virtualization to Run Windows on RHEL 5.